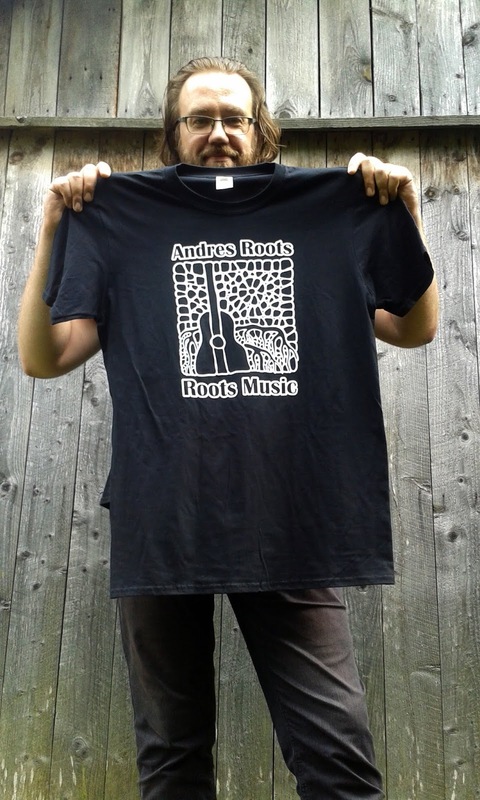 Andres Roots Roundabout: "Roots Music" T-shirts! Black Andres Roots T-shirts are finally in stock - the design features the cover of the 2016 chart-topping LP "Roots Music", which was also the first vinyl record ever pressed in Estonia and was awarded the Blues Album of the Year Golden Disc. Both the LP and the shirt were designed by Siret Roots. The Tartu-made shirts are available at Andres Roots' upcoming summer shows or directly from Roots Art (e-mail: roots.art.oy(at)gmail.com). For American fans, it would probably make sense to get theirs locally from Society6 - and for those who would prefer a different colour or even a different design, there is a large selection of Andres Roots merch available at Spreadshirt UK (PS: Spreadshirt offers free shipping through July 17th! ).